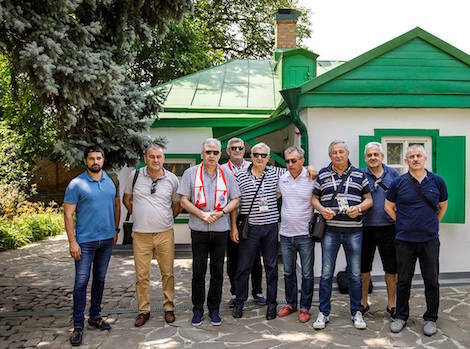 June 25, 2018: Croat Member of the Presidency of Bosnia and Herzegovina Dragan &Ccaron;ovi&cacute; visited the city of Taganrog within the framework of a trip to Rostov Oblast. The delegation from Bosnia and Herzegovina visited the main cultural attractions of Taganrog's downtown area, including Anton Chekhov memorial sites: The Memorial Museum "Birth House of Anton Chekhov", the Museum of Literature "Chekhov Gymnasium", memorial museum "Chekhovs' Shop", Tchaikovsky House, Peter the Great Statue, the Old Stone Steps and Sundial, Pushkin Embankment. 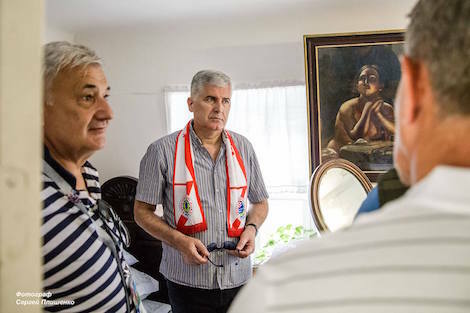 At the end of the visit, Croat Member of the Presidency of Bosnia and Herzegovina Dragan &Ccaron;ovi&cacute; left a note in the Taganrog Groups of Museum's distinguished visitors' book.